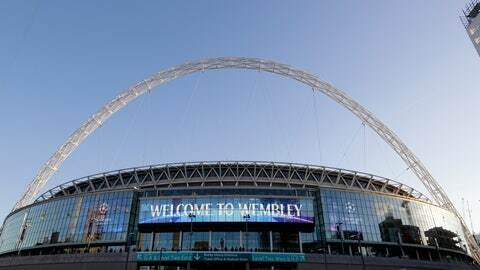 LONDON (AP) — English Football Association leaders have two weeks to persuade council members to overcome any opposition and back the stalled sale of Wembley Stadium to Shad Khan, the owner of the Jacksonville Jaguars NFL franchise and London-based Premier League club Fulham. The FA Council will vote at a special meeting on Oct. 24 and the governing body said its board would “take these views into consideration” ahead of a final decision. Under the terms of any sale it would have to always be called “Wembley Stadium,” and the FA would have to approve of a potential future NFL franchise in London being based there. The FA would retain hospitality income valued at 300 million pounds. “I am committed to a partnership with the FA that will realize longtime resources for and benefits to the game and an extraordinary experience for all who will play in or visit Wembley Stadium for many years to come,” Khan said.